Poor Emilicious. She had her wisdom teeth pulled and all she could eat for the time being were soft mushy things. That would mean congee, noodles, soup and smoothies. Not exactly a wide range of food and not particularly interesting either. Due to the late ending of our Friday night hockey game, the options for this type of food (especially a place I've never been before) was somewhere between zip to nil. 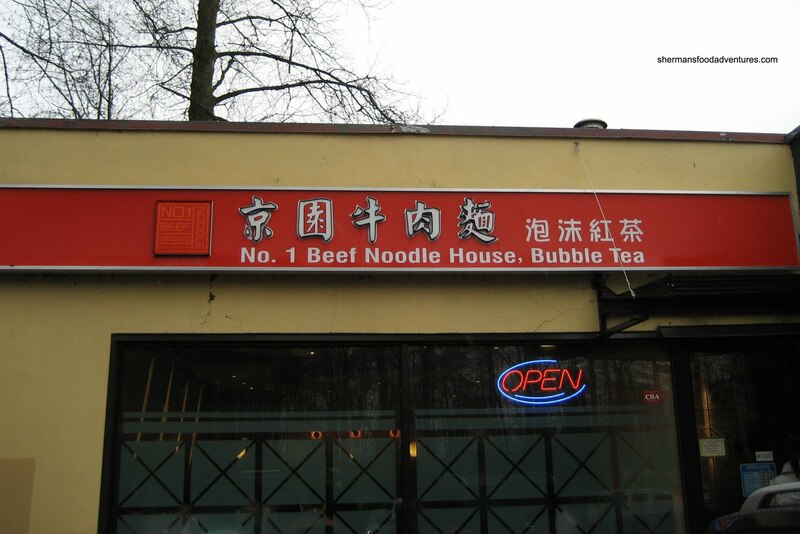 Therefore, we ended up at a place I've been to many a time - #1 Beef Noodle House. Fortunately, I haven't blogged about in nearly 3 years, so it was a good time to do a re-visit. At first, I was a little concerned about the parking situation since we had a table of 11 people. You see, this parking lot of 20 spaces or so services 4 restaurants. Usually, the only choice of parking is over a block away behind a forest. Fortunately for us, it was so late, all the other restaurants were closed and all the parking spots were available. Strangely, we were seated at the same table that I have sat at for my last 3 visits. 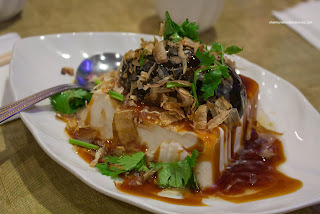 However, unlike those past visits, I went for something totally different starting with the Preserved Duck Egg with Tofu. If I had to compare this with a recent version, then this was a miss. I much preferred the one I had at Facing East in Bellevue. The main reason for my indifference was due to the sauce. It was salty and one-dimensional, it killed everything. Think about it, the tofu and egg are pretty standard, so the sauce is what brings it together. For my main, I tried one of their hot pots with the Sesame Oil Chicken Hot Pot. 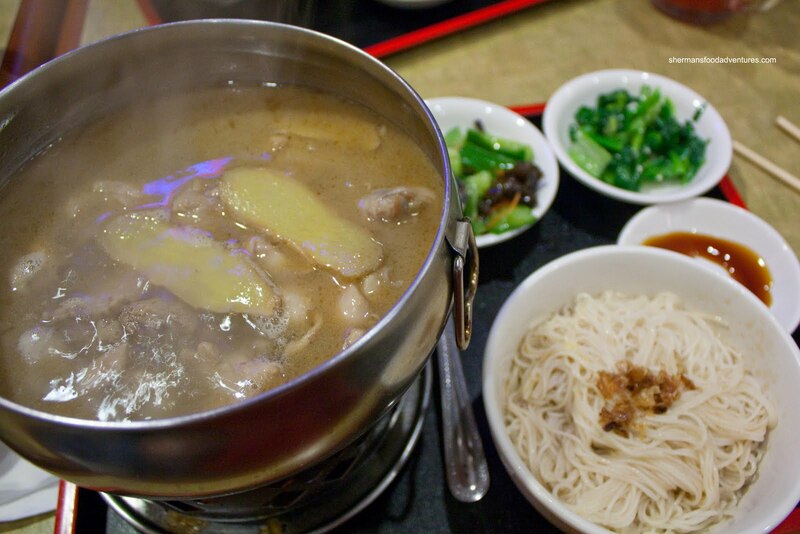 It came steaming hot on a chaffing dish, 2 sides and noodles. If compared to the one I had at Kalvin's, this one was several notches below. The soup did have enough flavour (in particular the ginger); yet it lack depth. There wasn't a strong sesame oil presence as well. On the other hand, the chick en was quite good though being cooked just enough. Milhouse ended up with the Salty Peppery Chicken with Fried Rice. 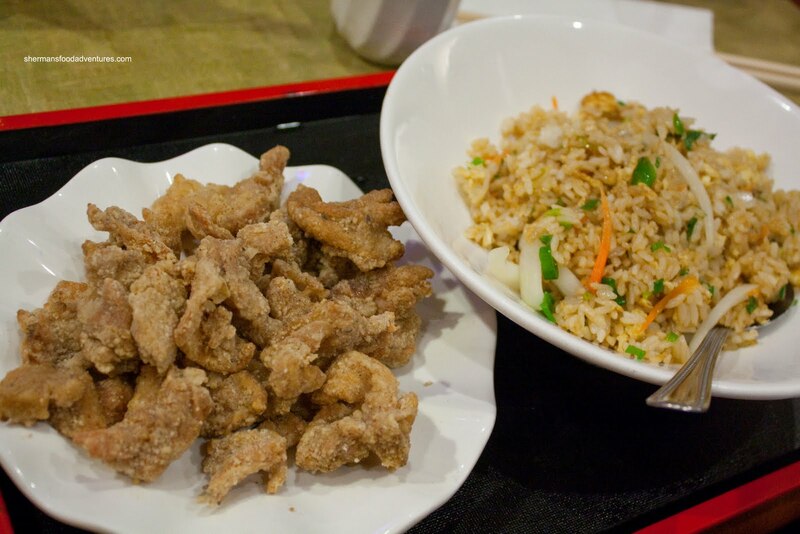 The pieces of chicken were moist and juicy while definitely salty. However, it wasn't really all that peppery though. Still decent nonetheless. That went for the fried rice too. It was chewy with enough seasoning. Other than that, it wasn't very exciting. 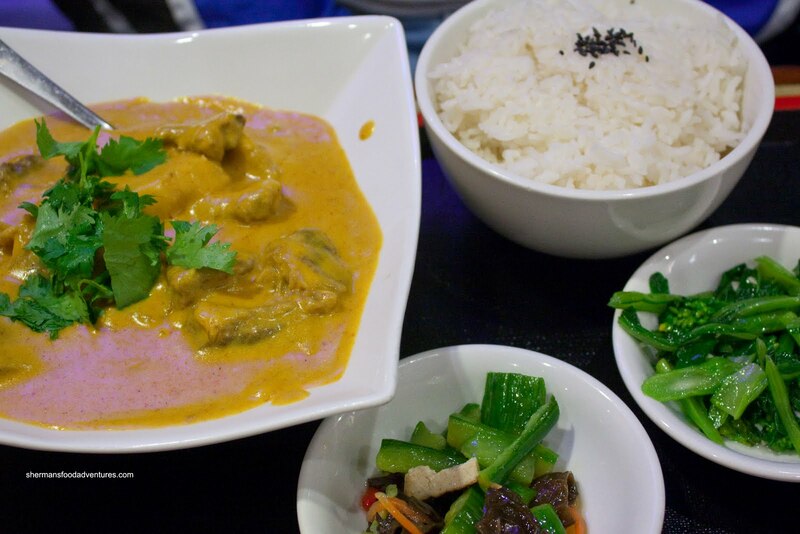 Gordo surprisingly ordered the Curry Brisket with Rice. Honestly, that is not a dish I would normally consider at a place such as #1 Beef Noodle. Surprisingly, it was not bad. The brisket was tender and not too fatty. Furthermore, the curry had a nice consistency from the coconut milk. It was sweet and savoury with a unexpected kick. 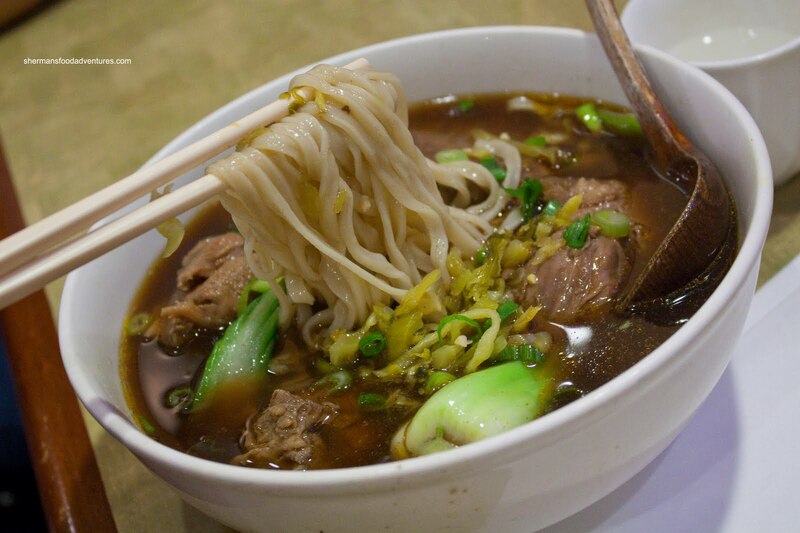 Alright, a visit to #1 Beef Noodle is not complete without ordering the Beef Brisket Noodles right? Well, I let Gadget Girl do the honours since I've had a few times already. And much like the other times, there was plenty of tender beef shank. Wait. Beef shank? Yes, although they call it beef brisket on the menu, they in fact use shank. Why do this keep doing this? I have absolutely no idea. They really should change the menu description because most people can tell the difference between brisket and shank. As for the noodles, they are pretty good except they were a bit past al dente this time around. Probably the weakest part of the bowl of noodles was the soup. By no means was it bad. In actuality, it is one of the better ones in town. With that being said, it could use a bit more depth. Now the whole reason we were here was due to Emilicious' predicament. So keeping inline with her "soft foods" requirement, she had the Hot & Sour Soup with Noodles. Much like Gadget Girl's noodles, these were slightly past al dente as well. The hot & sour soup had a nice consistency while not really having a lot of impact. It was neither very hot nor very sour. It was sort of in the middle. Decent, not great. That would be the same description of Ginseng's order of Boiled Pork Dumplings. 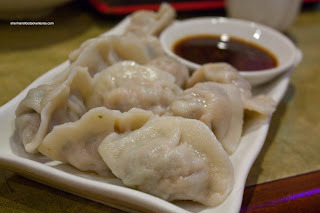 The dumpling skin was a tad doughy while not too thick. The meat filling was not gritty; yet a bit on the bland side. Basically, it was your typical boiled dumplings. 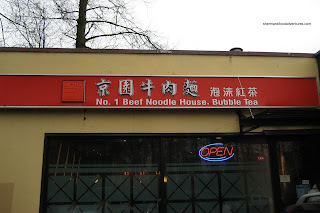 And really, the meal as a whole was pretty typical of #1 Beef Noodle House. Nothing more than expected and nothing less either (well, the curry was better than we thought it would be). It is safe to say it is not the best TBN in town; however, it is a decent option and especially late into the early morning. Not our first choice if there were more places open. At the very least, at this time, there are available parking spaces. Didn't they violate Burnaby (or Fraser Health) health code a few years ago (they were even shown on the news) ? Shank or brisket ? How do we know it's even beef, lol ! 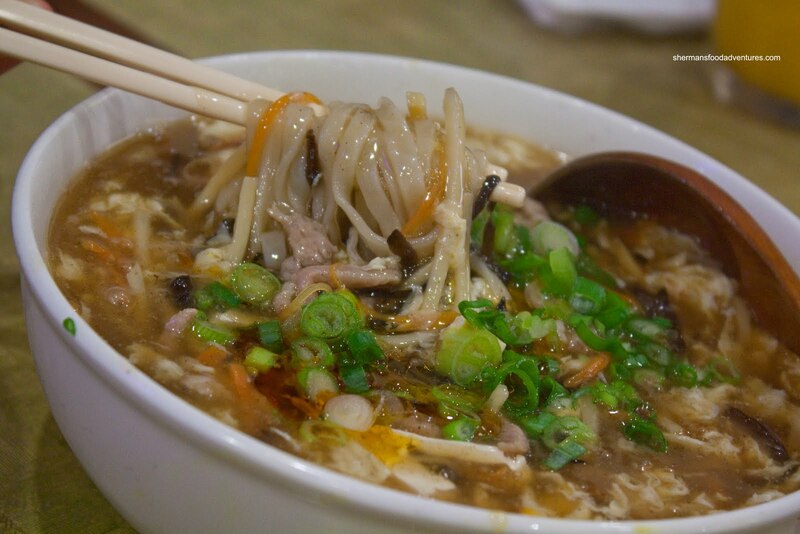 Yum...just adds to the authenticity of a Taiwanese restaurant haha, just like eating on the streets.